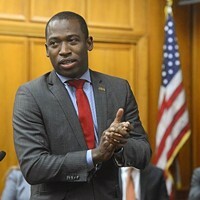 Opinion: Richmond's Growth As a City Starts With Fixing Its Education System | Back Page | Style Weekly - Richmond, VA local news, arts, and events. 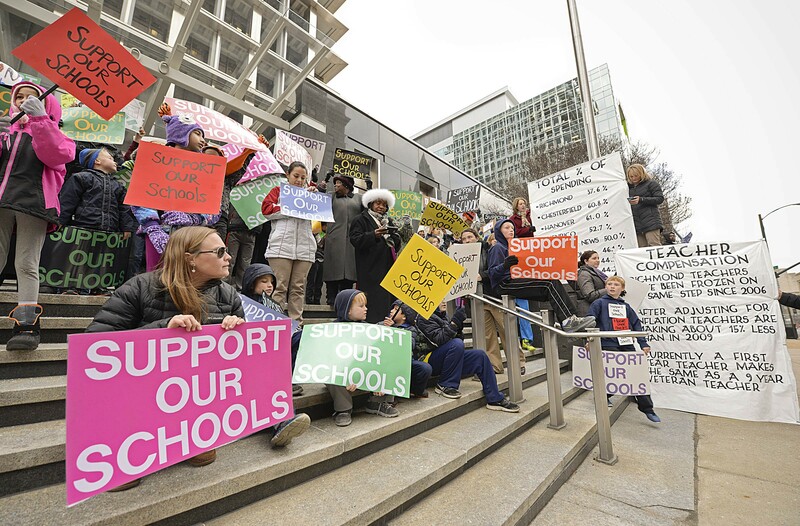 Teachers, parents and students rallied at City Hall last week to bring attention to issues dogging Richmond Public Schools. In his recent State of the City address, Mayor Dwight Jones caused some controversy when his office altered images of teachers and parents holding signs at a City Council meeting. They were exercising their rights to free speech while advocating for our schools. “The bottom line is the money has to come from somewhere,” the mayor continued with his address. He went on to talk about options to grow the economy, cut services or raise taxes. Some school administrators and teachers were angry that they were used as political props in altered pictures to make a point. But maybe the mayor did Richmond a favor. His actions initiated the start of a grown-up and mature discussion about education in the River City. Sticking to the facts will provide a clear picture of why residents and City Council members need to support Superintendent Dana Bedden’s school budget proposal. From the most recent auditor of public accounts comparative cost reports, Richmond is 10th in total spending per capita statewide but 63rd in education spending per capita. Education is the only function of local government that is below the state average spending per capita. Comparing dollars spent on education to total governmental spending for select localities, the data shows Chesterfield and Hanover counties at 61 percent, Henrico County at 53 percent, Hampton and Norfolk at 44 percent, Newport News at 50 percent, and Portsmouth at 45 percent. Richmond spent 37.6 percent on education. Within the economic and community development category, Richmond spends a whopping 11.1 percent compared with the surrounding counties, which spend from 2 percent to 5 percent. The auditor of public accounts breaks down economic and community development into planning and community development ($85 million), environmental management ($1 million) and cooperative extension programs ($25,000). The sources of funding are federal direct aid ($55 million), state categorical ($2.8 million) and local charges for services ($11 million). That leaves a gap of $18 million that local taxes must fund. When it comes to education, Jones says we “need to ensure that we are getting high quality for the dollars that we spend.” No one in Richmond Public Schools will argue that point. The school system’s commitment to high standards for education in the face of underfunding is undeniable. Shouldn’t this same high standard also be applied to community development projects that draw huge price tags? The UCI Road World Championships drew an estimated 645,000 spectators, according to organizers. While it was great public relations for Richmond, it wasn’t the financial success that the city hoped it would be. 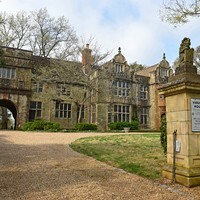 Media outlets such as Style Weekly and The Richmond-Times Dispatch reported that Richmond saw a small increase in economic activity overall, yet a decrease in hotel occupancy and minimal change in restaurant sales. Attendance at the Redskins training camp has declined during the last couple of years with a 44 percent decrease just this year. The city’s eight-year, $500,000 contract was expected to provide increased revenue from restaurant sales and tourism. Because the city has had to borrow money to make the payments, clearly this financial windfall isn’t happening. Also, the Redskins practice facility, which cost the city $10 million to build and with a plan to lease its upper floors for commercial purposes, stands two-thirds vacant three years into the venture. While the Richmond Public Schools need an increase in funding, the city budget isn’t about money — it’s about the proper allocation of money. A study by Glen Earthman, Virginia’s leading expert on old school buildings, showed that aging facilities damage student health, especially for poor children. He estimated that attending such facilities from kindergarten through 12th grade results in losing one full year of educational learning. Building design features and components have been proven to have a measurable influence upon learning. Among the influential features and components are those affecting temperature, lighting, acoustics and age. Researchers have found a negative impact upon student performance in buildings where deficiencies in these features exist. Overcrowded buildings and classrooms have been found to be a negative influence upon student performance, especially for minority or poverty-stricken students. - According to the Council of the Great City Schools, school districts of our size need a minimum of $8 million a year to maintain buildings. Richmond receives $2 million a year. - 82 percent of Richmond school buildings are more than 20 years old. - Approximately a third of them are at least 70 years old and a third are at least 50. - 23 of the 44 schools are in need of a complete replacement or a major renovation. - Most of our facilities are not up to today’s code. When teachers and students can teach and learn in safe, healthy, state-of-the-art buildings, the results will put Richmond on the forefront of education. When this happens, there will be economic growth in all areas of the city. We applaud the mayor and City Council for their investments in public safety last year, but let’s not forget the correlation between education and public safety. As teachers we influence public safety in the long run. We have the opportunity and responsibility to teach appropriate citizenship, community values and act as positive role models. Diane Marshall, Chris Lombardi, Keri Treadway and Jen Ramachandran are Richmond Public School teachers with 43 years of combined experience.